Don’t miss out on the Energy Casino, a multi-software operator that also offers Novoline Slot Machines. This is another opportunity and can also be used from players in Austria, Germany and Switzerland on a legal way, because is fine from Energy’s side. Energy also offers a portfolio of several software providers, so there is no need to change the casino to play other games. In addition, you’ll benefit from very fast payouts. In all other allowed countries, like Poland, Romania, Hungary or the United Kingdom for example, Novoline games can be played in the regular way by using your regular IP address. Customers from Spain can take advantage of the games that are being offered by Greentube Ltd. The excluded countries are: USA, France, Italy, Denmark, Estonia and Belgium. 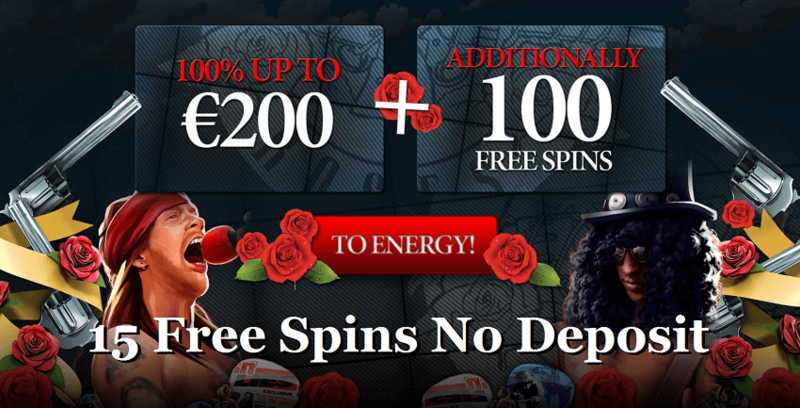 As a welcome bonus new players receive 15 Free Spins without Deposit and 100% up to €200 plus 100 Free Spins. After that, a 50% Reload Bonus is being offered which can be used up to €200. In addition, one can benefit from double Energy points and another 50% up to €100 reload bonus by playing the game of the week. The possibility for players to legally play from Germany, Austria and Switzerland at the Energy Casino makes registering here even more interesting. There is no need anymore to change the casino in order to play Novoline or other popular games by NetEntertainment, Oryx Gaming or Microgaming. Most used games providers can be found here on one platfrom. Players are also appreciating the very fast payouts at Energy. Frequently asked questions and answers can be found in the help section. An Online Casino that offers games by renowned and popular software providers from the online field (NetEnt, Microgaming, Oryx) as well as from the offline sector (Greentube, SBS). A large number of games by NetEntertainment, Quickfire (Microgaming’s flash games) or the many Novomatic games ( which can be played legally also from German speaking countries) hold an excellent mix of various software providers. All games can be tested for free. Energy accepts a lot of payment methods and offers many options in different currencies. In the help section, players can find frequently asked questions and answers about the payment methods.